Trinity Presbyterian has been so kind to welcome us for our first year as a school. However, both Trinity and the Board have known for some time that we would not make our permanent home there. Both our needs and Trinity’s needs meant that a move would have occurred in the next couple of years. The Lord saw fit to bring to our attention the possibility of occupying space at Highland Colony Baptist. We have been in talks with the Church, have secured a long-term lease, and are excited about a lasting place there. 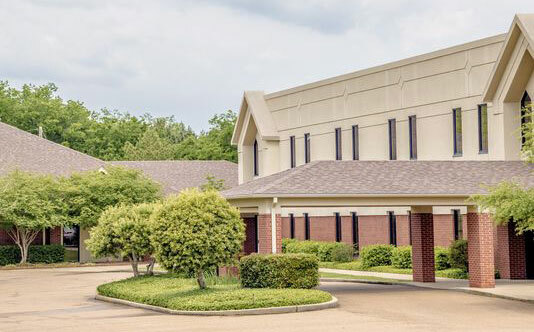 The building is in excellent condition, and the location is in keeping with our goal of staying centrally located on the I-55 corridor. The church is in Ridgeland, on Highland Colony Parkway, north of Steed Road. Excitingly, much construction is underway on that part of the corridor with new points of access being added, making getting to St. Augustine even easier. Most importantly, Highland Colony Baptist is thrilled to have us and hopes to assist us in our mission of cultivating excellence, wisdom, and joy. They have a safe, pleasant environment for us that is certainly conducive to teaching and learning from one another. We believe that this is the beginning of a long and fruitful partnership. We are confident that this move is in the best interests of our students, teachers, and the future of the school. We look forward to giving you all a tour in July when we have our used curriculum and uniform sale. If you have any questions or concerns, please let us know. We hope you’ll join us in thanking God for His faithful provision.